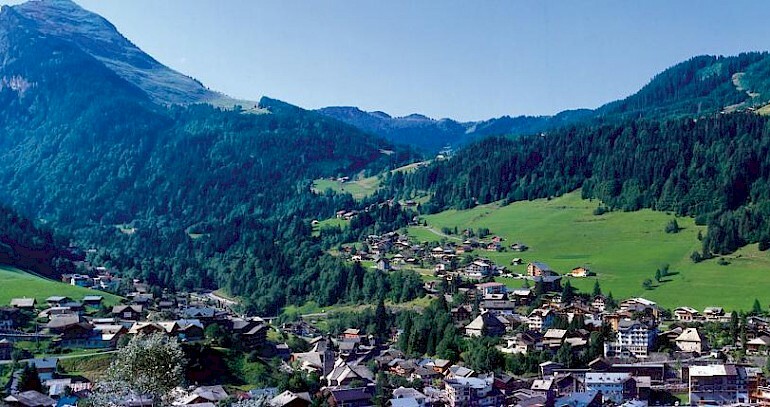 Think summer in Morzine and you think of the warm Mediterranean climate, lush green hills and epic scope for activities; both extreme and relaxing! 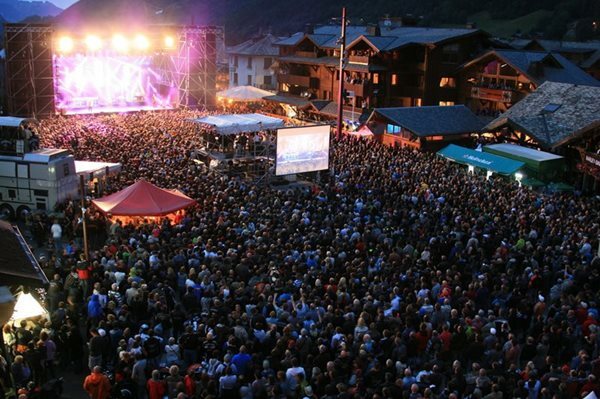 However, what a lot of people forget, is the amount of amazing events that Morzine plays host to through the summer months. A busy season bursting with events, the town in summer comes alive with races, shows and music concerts. Whatever you’re into there’s something for everyone to enjoy in the mountains this summer.. This year, the annual Paris – Nice cycle will use Morzine as the city stage between 17th-18th June. So whether you’re wanting to partake or just spectate, look forward to a buzz around town as everyone enjoys the weather and a bit of friendly competition as the race passes through. On the 18th June, Morzine plays host to 2 cycle races of 155km and 100km featuring renowned climbs from some of the major cycle races such as the Tour de France and Criterium du Dauphine. Leaving Morzine, the race takes riders over the famous mountain cols of Joux Verte, Corbier, Grand Taillet, Jambaz and Joux Plane, to finish in neighbouring St Jean d’Aulps. The main 155km race features a tough near 4,000m climb, making it excellent training for major races such as the Etape du Tour. Not as busy as some of the other cycle races that happen in Morzine over the summer, the Haut Chablais is a friendly, less hard-going event that allows you to take in the beautiful scenery of the Alps and enjoy a more relaxed vibe than bigger events such as the Pass’Portes. Up to the challenge? Registration for competitors is possible up to the night before the event and costs 37 euro. World-renowned mountain bike event Pass’Portes takes place in the Portes du Soleil, spanning 9 resorts through France and Switzerland. The 80km routes through Avoriaz, Chatel, Let Gets, Montriond-Lindarets, Morzine, Champery, Les Crosets and Morgins have plenty of pit-stops serving up local specialties and provide a great challenge for any strong mountain biker. With such beautiful views of the French and Swiss Alps on the ride, and comprehensive bike show in Les Gets that features over 200 international brands with free bike tests, this is definitely an event not to be missed this summer. Alongside the traditional MTB routes, Pass’Portes also has a pedestrian option for keen hikers, as well as courses specifically for kids and an exclusive night ride that is a lot of fun! New for 2017, ePass’Portes is now offering an Electric bike route from Les Gets, so whatever your fitness and stamina level, you too can get off the beaten track and be involved in the fun without to much uphill struggle! If you want to take part in this year’s Pass’Portes event, registration is now open here. 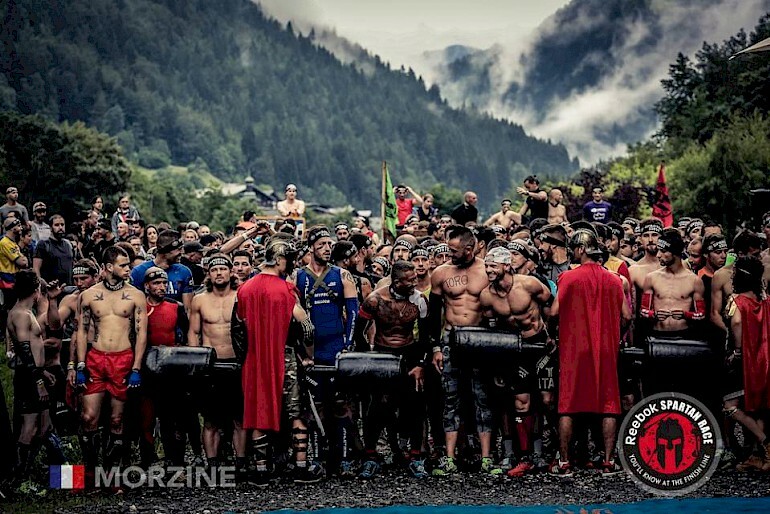 Over the 1st – 2nd July, Morzine will host the second edition of the world-leading obstacle course race – Spartan Race. With 4 courses around Morzine and lots of activities around the start/finish area at the Palais des Sports, the race is not only a fun challenge for those participating but is an awesome sport for spectators to watch as brave contenders take on the intense obstacles and push themselves to the limit!! The weekend also sees the streets lined with sponsor stands, parties and a grand celebration and prize-giving after the race, giving Morzine a friendly buzz around town and sees its residents and visitors in high spirits! If you want to take on the challenge you can register here. Between 13-16th July, over 10,000 Harley Davidsons are expected to descend on Morzine for this summer’s Harley Days Festival. 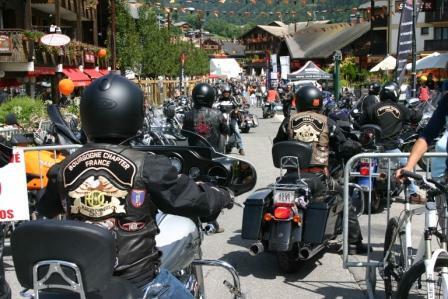 Organised by the Harley Owners Group France (HOG), Morzine becomes overrun by bikers and the sound of revving engines in one of the largest motorbike events to grace the Alps. Throughout the event, there will be 1 main stage outside the Tourist Office and another 2 smaller stages that will hold some great music concerts. This year there will be Little Bob Blues Bastards, The Original Blues Brothers Band, Trust and Vintage Trouble to bring you some soulful sounds. As well as a big bike parade through the streets of Morzine, there will also be free trials of the new Harley-Davidson range, and two ride outs lead by the Alpes Spirit Chapter, Annecy and the Morz’N Alps Club, Morzine. So whether bikes are your thing or not, there’s no avoiding them during this festival! Accommodation gets booked up quickly for this highly saught after event, so get in touch early to find out about our hotel availability on hotel@mountainmavericks.com. Every day over the week of the 12-18th August, the heart of Morzine will have shows and entertainment for children of any age. A mix of street shows, workshops, games and yummy snacks; this is the perfect time to visit if you have little ones that need keeping busy! 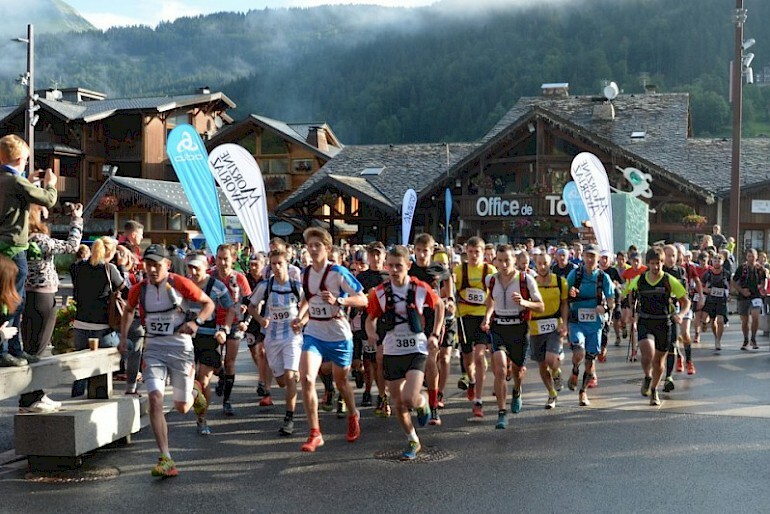 This summer, the famous Hauts Fauts trail race will take place on the 12th August. The race between Morzine and Avoriaz allows competitors to make the most of the unrivaled views of the Portes du Soleil whilst taking on the challenge of racing around the Haut Fauts, the highest summit in the area. Choose from 1 of 3 routes; 55km with +4,500m accent, 24km with 1,900m accent and a 2 runner relay race over the long route with the relay point at Lac des Mines d’Or, all of them offering an intense challenge with stunning views of the surrounding mountains. The longest of the routes also serves as a qualifier for world renowned trail race the Ultra Trail du Mont Blanc. Want to get involved? Sign up here. 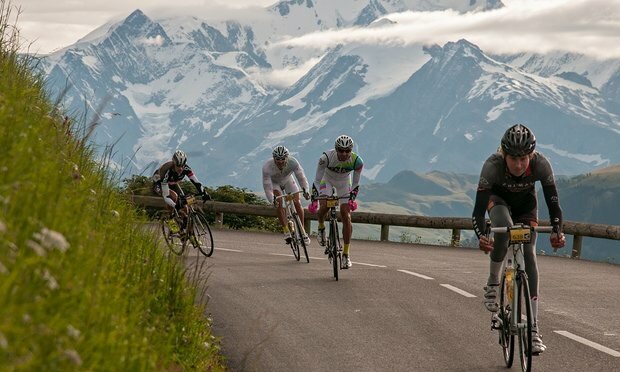 The Alps Haute Route is the first series of amateur multi-day cycling events of its kind. Whether in the Colorado Rockies, the French Alps, the Pyrenees or the Italian Dolomites, these series of events are the highest and toughest amateur races in the world. This year, over 600 amateur cyclists will compete in fully timed and ranked cycle racing from Nice to Geneva through the French Alps. The route is set to feature the most climbing in its 7 year history, with the final city stage before Geneva passing through Morzine over the 26-27th August. Usually reserved for professional cyclists, the high-level event will challenge riders with over 22,000m of climbing over many new ascents as well as classic Alpine climbs and passing through traditional race villages. So if you’re looking for an extreme challenge and fancy a shot at the glory, or simply want to experience the hype of the event from the sidelines, make sure you’re in Morzine over this weekend whilst competitors take on some of the most famous climbs in the world of cycling! 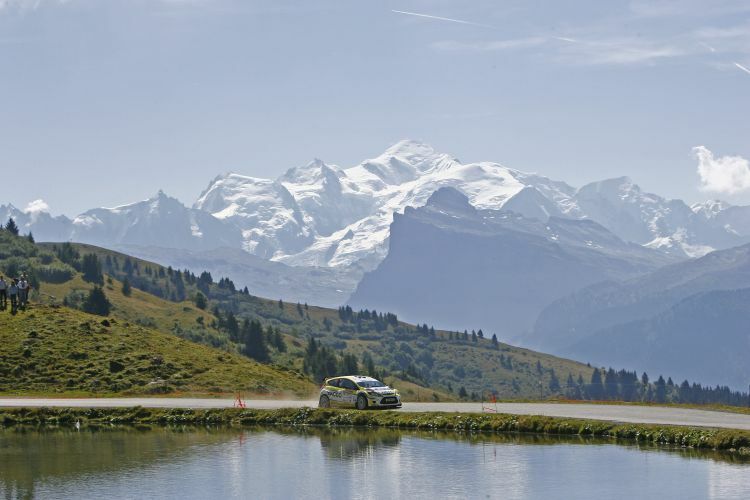 Part of the French Automobile Championships, the Mont-Blanc Morzine Rally uses numerous stages around resort between the 31st August – 2nd September including the famous Joux Verte. This year will see the 69th annual rally, and for motorheads really is somewhat of a legendary event to spectate at! Our hotels, L’Aubergade and Le Cottage, offer unrivaled central locations that are great for any event, as well as comfortable accommodation, quality service, and a friendly, welcoming atmosphere, providing a perfect base for summer adventures. 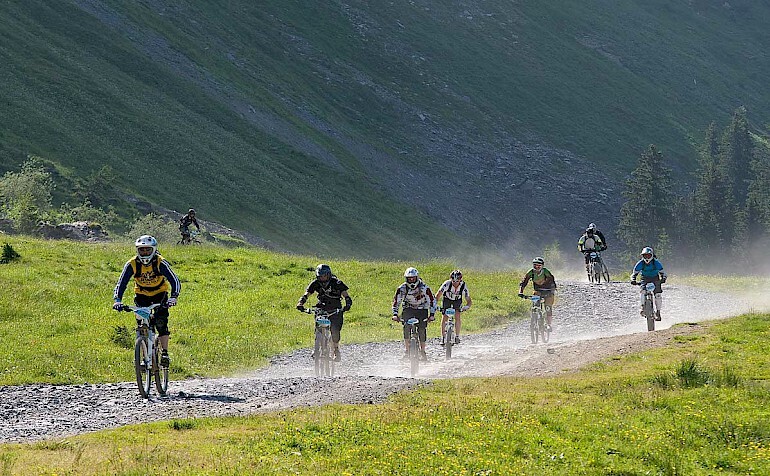 The Portes du Soleil offer a fantastic range of events throughout the summer season that are fun for both participants and spectators alike. If you’re wondering when is the best time to come out to the mountains, or serious about competing at one of the many sporting events throughout the summer months, please feel free to get in touch with one of our office staff to discuss your options in more detail on thechalet@mountainmavericks.com. Next: Win a FREE holiday with Mountain Mavericks!